Welcome to the world of Stefan Kudoke, where every watch begins its life in a notebook. Stefan is one of those master watchmakers who writes things down in a small book - in fact the word "doodling" might be a better term. When he thinks of a new or interesting design, he makes the initial drawing in his notebook and lets the design process sink in. 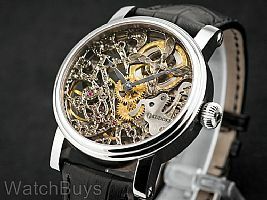 The Black Beauty is the hallmark for Stefan's skills as an engraver, watchmaker and specialist in skeletonization. When this watch first arrived in our offices, we stared, and stared and stared. 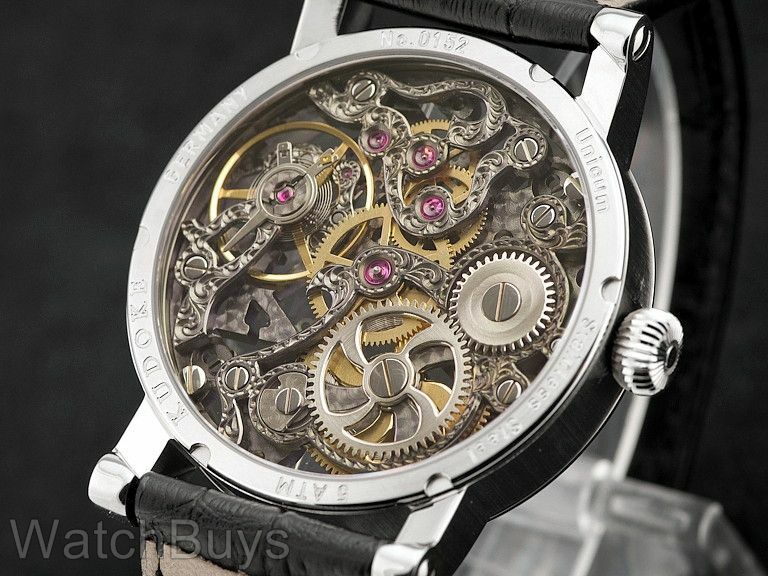 What hits you first of course are the elaborate patterns and designs used in the movement, not to mention the very small details in the engravings. But what is also special about this watch are the colors. Stefan named this watch "Black Beauty" because of the special processes he uses to change the colors of the various movement parts through a procedure called electroplating. The rich, dark colors used on many of the bridges contrast beautifully with the lighter colors in the plates and gears. 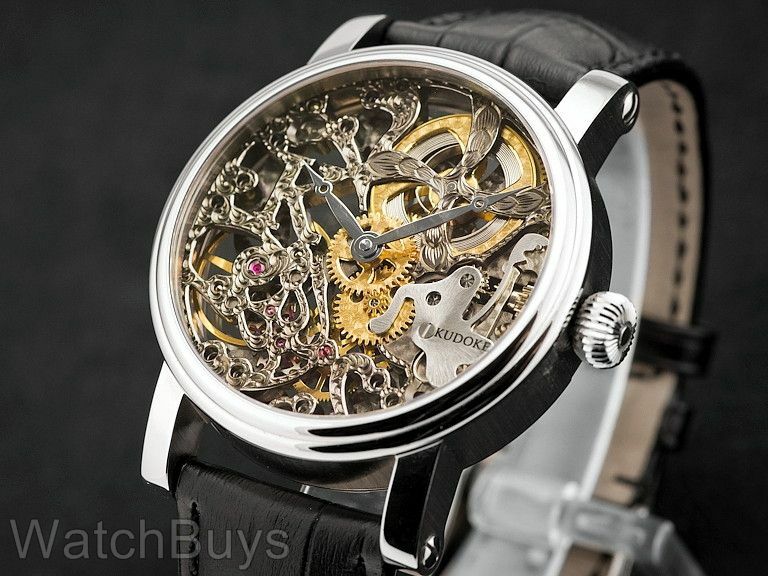 The end result is a watch that makes the term "skeleton" used on other watches seem ordinary. Take a moment to expand the pictures on the top right. You'll notice that Stefan has embedded the initial "K" for Kudoke within the design of the movement. The more you look, the more you'll find other interesting patterns and designs. During a visit to Stefan's workshops, we were amazed to see the amount of time necessary to create a Black Beauty. Remember, every movement part is completely disassembled, and then each piece undergoes a series of processes performed by hand. These include engraving, skeletonization, polishing, decoration and finally the application of color. What we also find interesting about the Black Beauty is the mix of techniques that Stefan employs on the front versus the back. 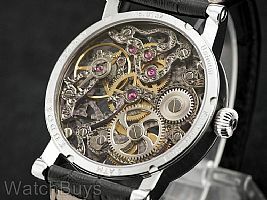 From the photographs on this page you'll notice when viewing the watch from both sides that the patterns and engravings change. Now you know why we were staring at this watch for so long upon its arrival and why we continue to stare. The Black Beauty from Stefan Kudoke is a watch that lives up to its name.